The conservative criticism of the Occupy Wall Street movement is that it is a "growing mob" (House majority leader Eric Cantor) of "shiftless protestors" (The Tea Party Express) engaged in "class warfare" (GOP presidential candidate Herman Cain) whose grievances - whatever they are - are far outside the political mainstream. The polls don't back that up. A new survey out from Time Magazine found that 54 percent of Americans have a favorable impression of the protests, while just 23 percent have a negative impression. An NBC/Wall Street Journal survey, meanwhile, found that 37 percent of respondents "tend to support" the movement, while only 18 percent "tend to oppose" it. The findings suggest that the right's portrait of the movement as a collection of lazy hippies who need to stop whining - to "take a shower and get a job" (Bill O'Reilly) - isn't resonating with most Americans. That's because while the protesters' aims are vague - Bill Clinton said Wednesday that they need to start advocating specific political goals - their frustrations are easily identifiable and widely shared. The Occupy movement may be a big tent (one with room for opposition to fracking, calls for campaign finance reform, and a host of other positions), but nearly everyone involved says they are angry that a small group of wealthy Americans have grown increasingly rich while "the other 99 percent" have been left behind. As the study's authors noted, "All groups - even the wealthiest respondents - desired a more equal distribution of wealth than what they estimated the current United States level to be." Republicans, Democrats, independents, as well as rich, middle class and poor all said that wealth shouldn't be so concentrated among the highest earners. There's no denying that some of the protesters fit critics' characterization of them - many, though certainly not all, of the most committed demonstrators are the sort of outspoken young leftists that O'Reilly seems to disdain. And there's no question there is a wide variety of opinions about how to move forward - both within the movement and the public at large. But the polls and the data suggest that the protesters' underlying concerns resonate widely. 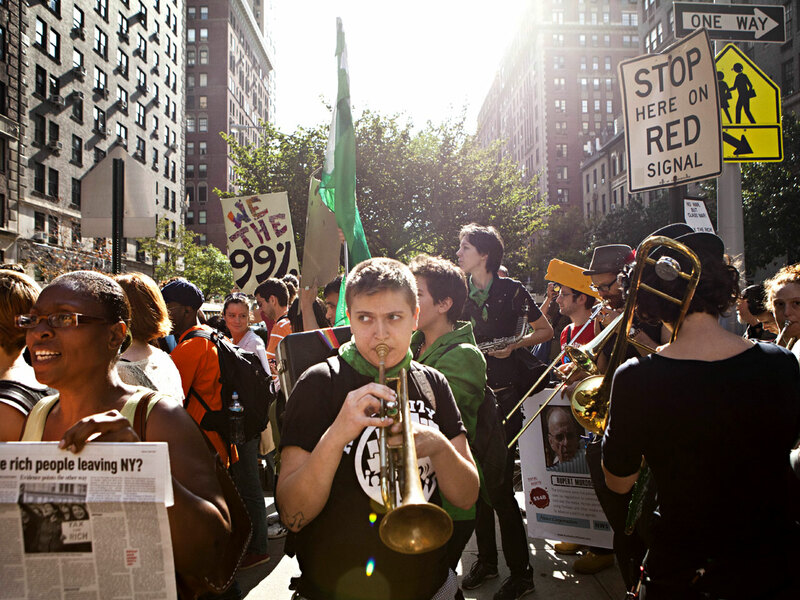 Occupy Wall Street may have an uncertain future - demonstrators in New York may be de facto evicted Friday morning - but it clearly seems to have tapped into a widespread sense that the economic system is out of whack. And that makes it far more difficult for critics to blithely dismiss the protesters as outside the American mainstream.